My phone informs me that it has been five days since I wrote about Koh Tao! I can’t believe how quickly the time has gone. 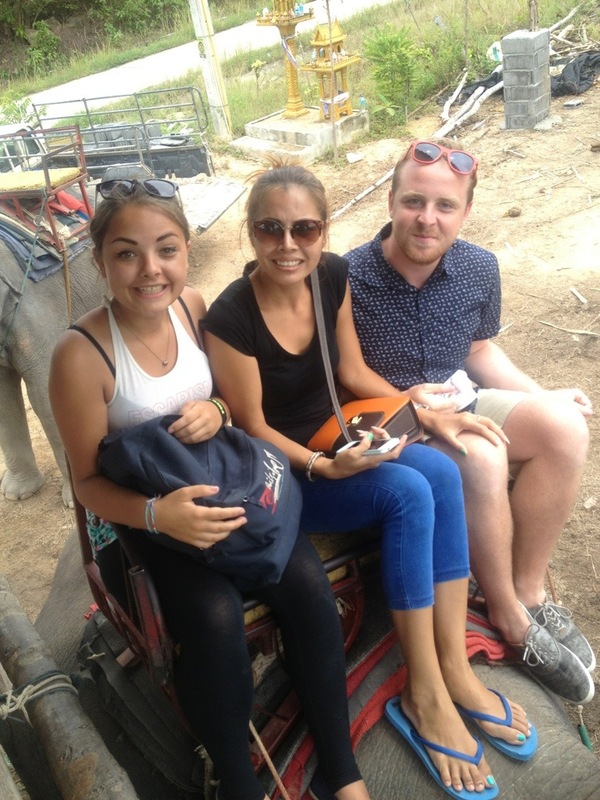 We left Koh Tao and took the ferry to the larger ‘party island’ of Koh Phangan. We are staying in a beach resort which is relatively remote from the hub of the island, and absolutely beautiful. It is right on the beach and perfect for relaxing. There is also a bar/restaurant on site so it is now possible for me to eat hash browns on the beach at any time of the day or night. I may never leave. 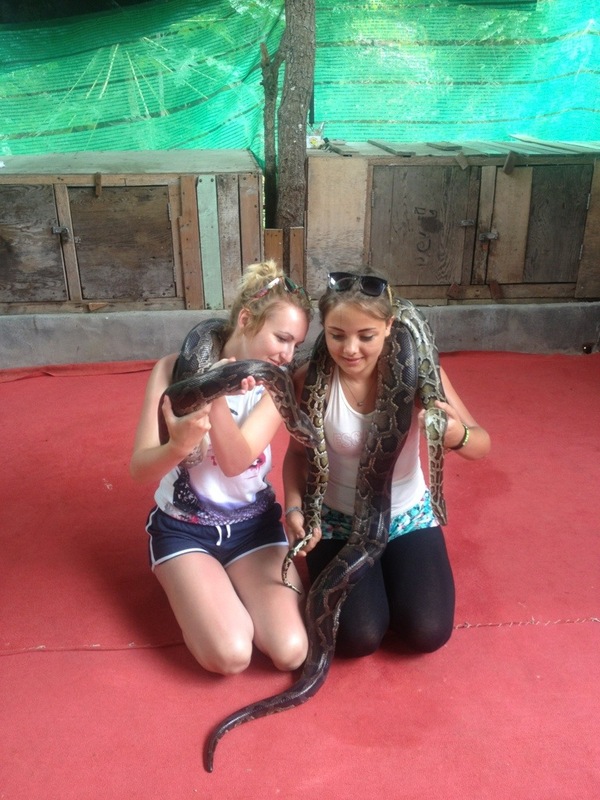 Before the Elephant trek we got to see crocodiles and snakes, and then were introduced to four beautiful asian elephants and their mahouts. (Yes I’m afraid of cows, but apparently totally fine with elephants…) Each elephant is fitted with a ‘saddle’ which provides a precarious bench for its riders, but because Moon, Rob and I were sharing an elephant, I got to slide forward onto the elephant’s neck and cling for dear life onto the pronounced forehead of her bristly face. The four elephants, each with two or three passengers, went on a leisurely stroll through the wooded surroundings, and I enjoyed watching the huge creatures walking together so gracefully. Then I looked down at our own elephant, who was gleefully stuffing her face so full of leaves that she could barely see, as she waddled ungainly to the next tree to grab more trunkfuls of leafy goodness. She was definitely not as wise as elephants are always reported to be, but I liked her, and I suppose that after I had asked “are these Asian Elephants?” Despite the fact that we are in Asia, I was hardly one to talk. 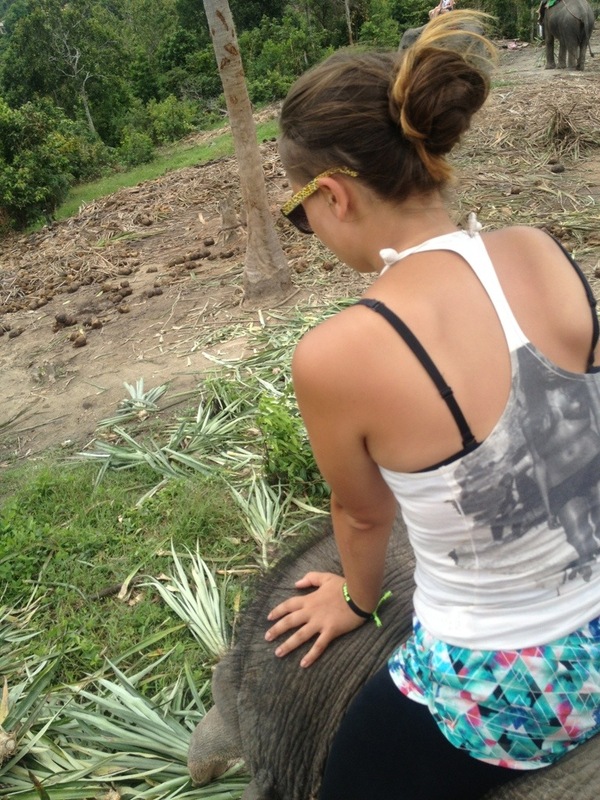 The ride was amazing and just being able to feed and play with the elephants was so cool. 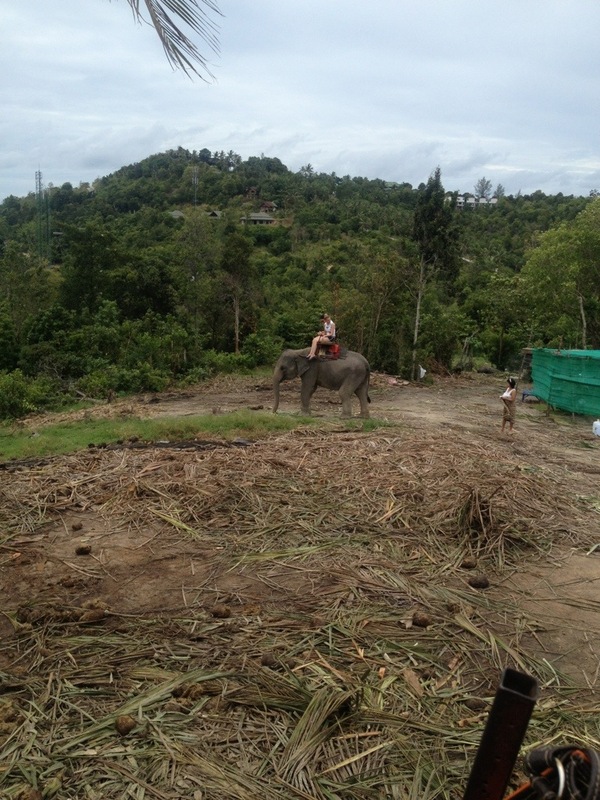 On the way back, our Elephant put on a surprising turn of speed to reach a particularly leafy tree, and dragged us through an ants nest, so Moon and Rob enjoyed watching me nearly jump off the elephant as I tried to escape the ants. 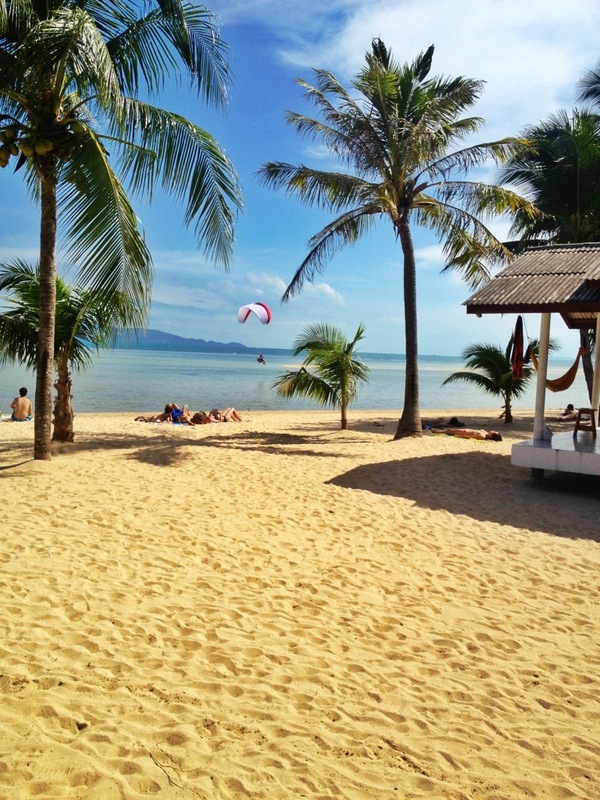 The day of the Full Moon party must be the busiest for all of the shops and businesses on Koh Phangan. I spent the day sleeping, eating hash browns, and hanging out with a stray puppy underneath a palm tree. 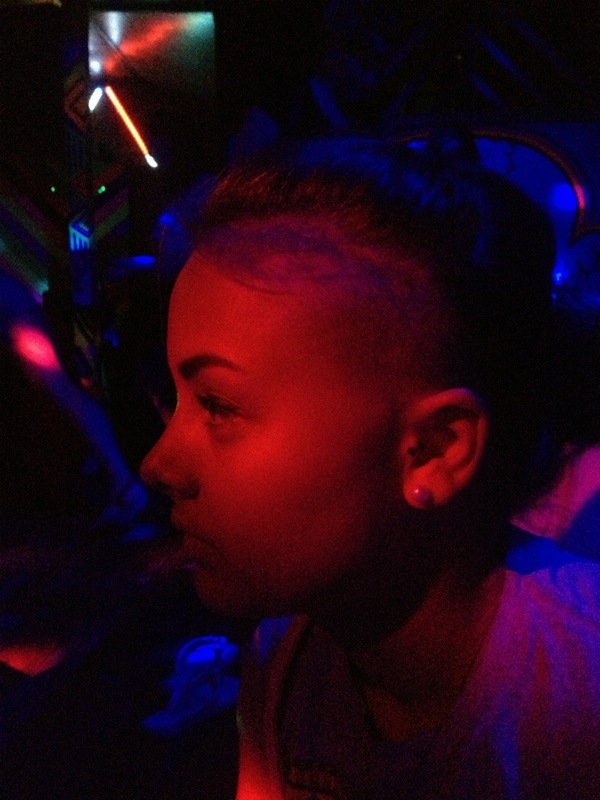 Eventually, I managed to rally myself enough to go and find the others and cover myself in neon paint. 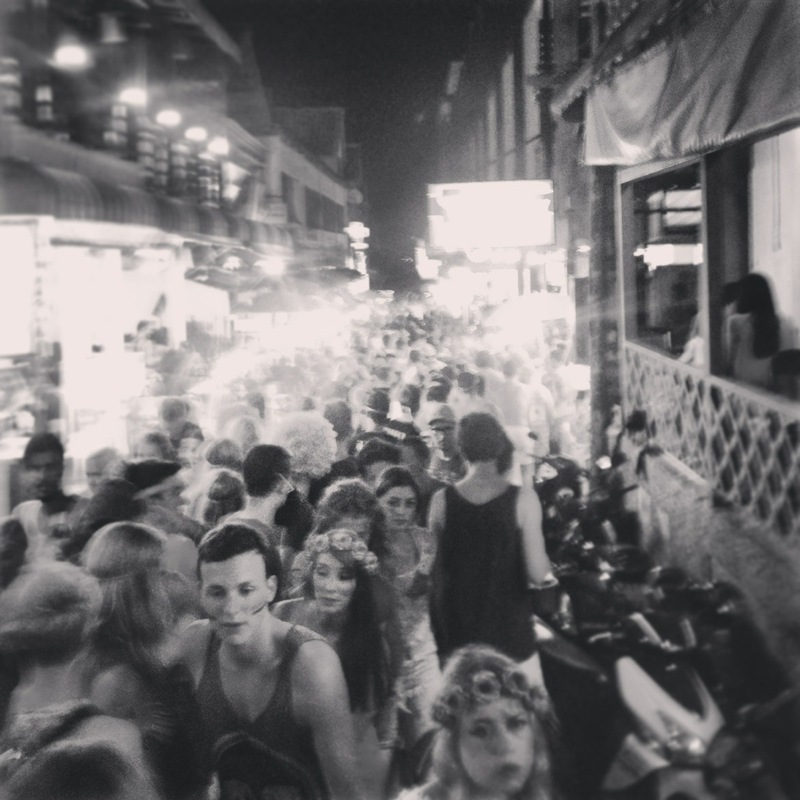 The Full Moon party has turned into a massive event for tourists, and it’s almost an urban legend among the stallholders who try to sell you everything from flashing sunglasses to dubious milkshakes in preparation for the huge beach party. 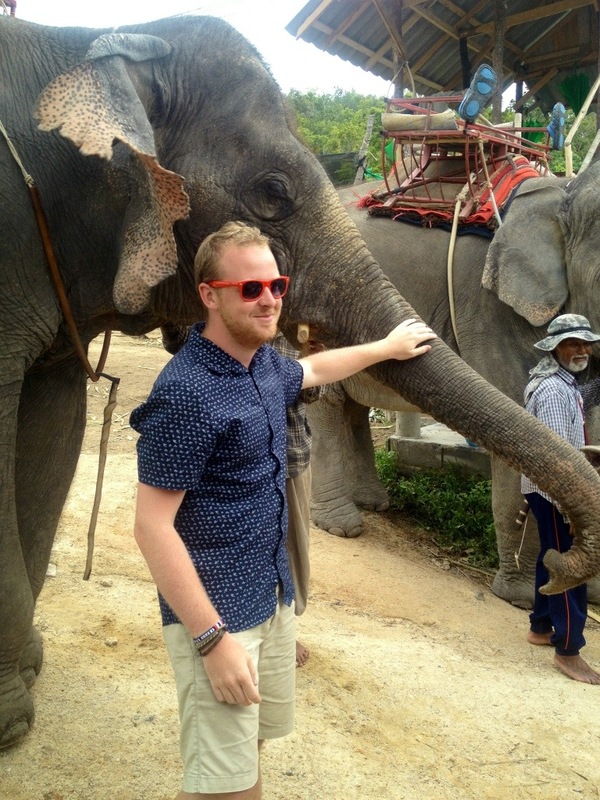 Love the sound of the elephant experience (except the ants nest) – no photos? 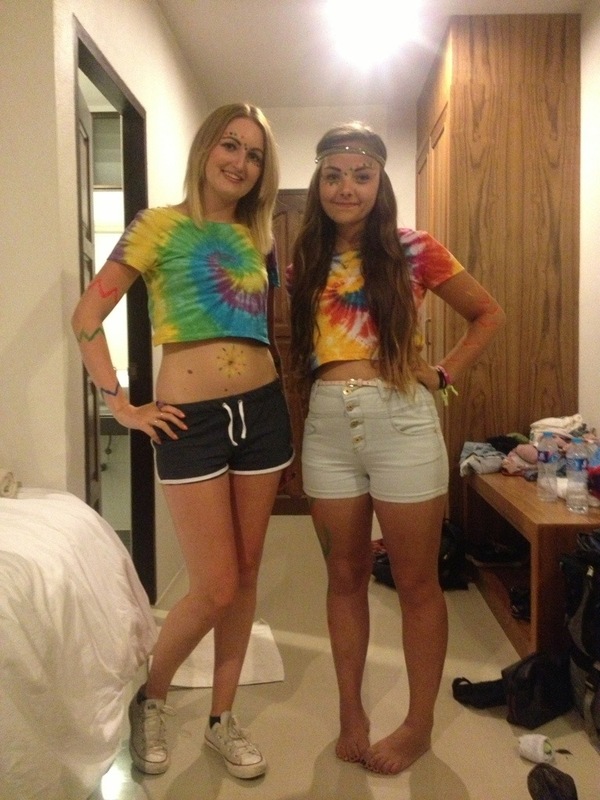 Happy to miss the Full Moon Party, although no doubt it made an interesting spectator ‘sport’! 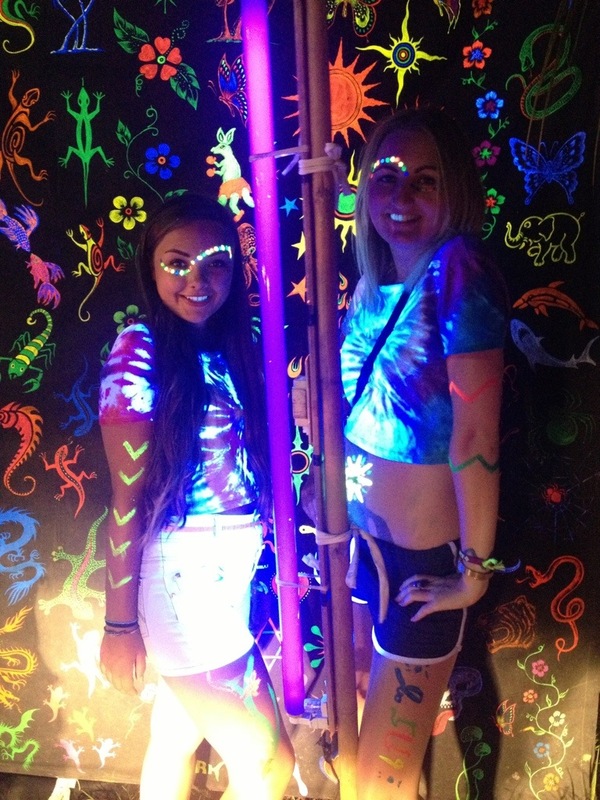 Paradise to fluorescent vomiting Hell without even taking a bus. All human (is it human?) life is there.